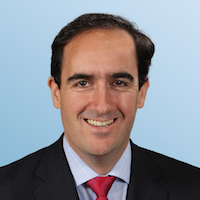 Alejandro is a Partner at Arthur D. Little, serving mostly Financial Services Companies in Europe and the Americas. He also leads our Operations Management Practice in Latin America. Alejandro joined Arthur D. Little in 2007 and brings almost 15 years of consulting experience, working with Financial Services companies to deliver results through strategy & business-model definition/implementation, customer & channel management, digitalization and organizational change. Alejandro previously worked in other consulting firms, in product development at UPS and as a Project Manager in the Construction industry. Alejandro has a passion for working together with clients in different topics ranging from new business models to digitalization.